There’s something comforting about a hot bowl of creamy soup. The aroma from the soup scooped out straight from the simmering pan conjures an image of something so good and delightful! And when you are in the middle of winter you need a lot of this bowl of deliciousness. So what are you waiting for? 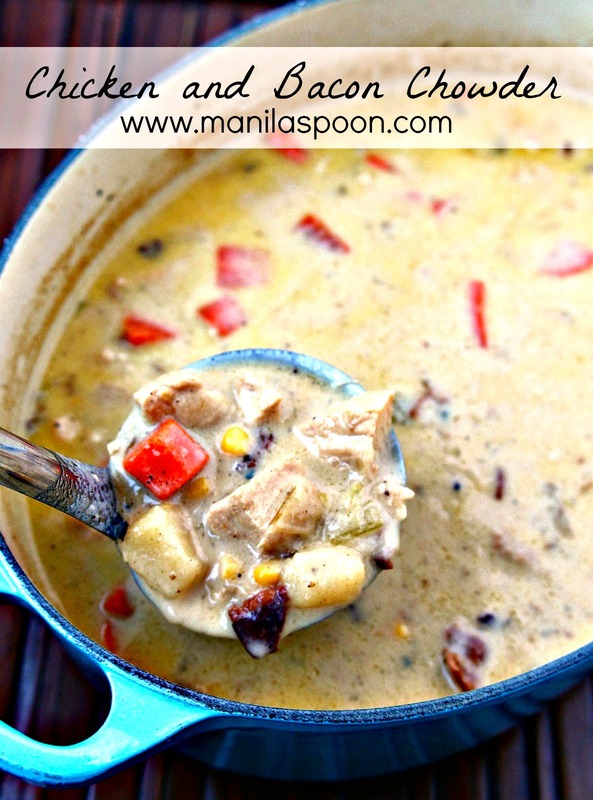 Dig in and make this yummy soup for yourself and your family! 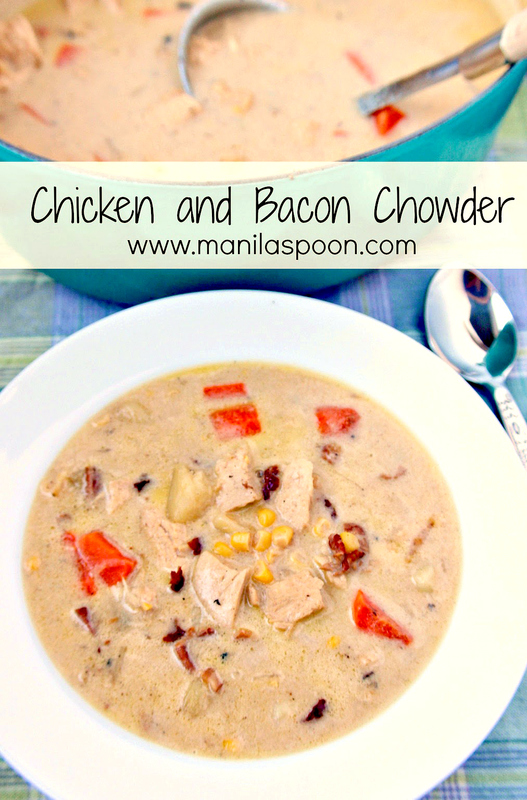 With lots of chicken and vegetables, flavored with bacon, and so creamy too this chowder is sure to be your winter’s comfort food! *Note: If you wish to make this gluten-free use either corn or rice flour. In a deep and large saucepan, heat the olive oil and bacon. Cook until the bacon renders its fat but not yet crispy. Add the celery and onions and cook until the onions are translucent. Add the potatoes and carrots and continue sauteing for another 5 minutes. Season with a little salt and pepper, to taste. Pour in the chicken broth and scrape the bits remaining in the bottom of the pan. Simmer covered for 10 minutes or until the vegetables are tender. Add the chicken pieces and the corn kernels. Heat the butter and flour in low heat until a paste like consistency forms. Slowly stir the flour mixture into the soup. Continue to cook until the chicken, corn and cream are fully heated through and the soup has slightly thickened. Label into bowls and serve immediately. Please do Renee and hope you like it.Thanks for stopping by. Now that the weather is getting cooler here – I really need to make this! It looks wonderful!